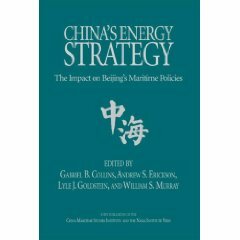 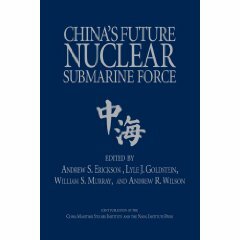 陆儒德 [Lu Rude], “美海上新战略浮出水面” [O Surgimento de Uma Nova Estratégia Marítima para os Estados Unidos (The New U.S. Maritime Strategy Surfaces)], 人民海军 [People’s Navy] (27 November 2007): 3. 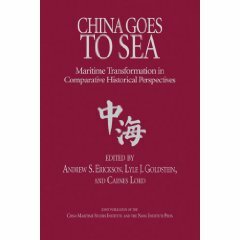 Translated by Andrew Erickson, in Paul D. Taylor, ed., Perspectivas sobre Estratégia Marítima: Ensaios das Américas, a nova estratégia marítima dos EUA e comentário sobre Uma Estratégia Cooperativa para o Poder Marítimo no Século XXI [Perspectives on Maritime Strategy: Essays from the Americas, the New U.S. Maritime Strategy, and Commentary on A Cooperative Strategy for 21st Century Seapower] (Newport, RI: Naval War College Press, 2010), 219-26. 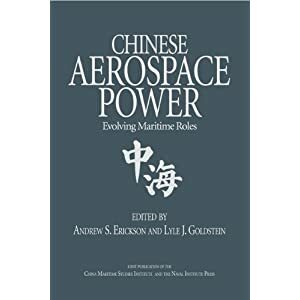 Reprints in Portuguese (complementing the 2009 Spanish version) essays written by representatives of Western Hemisphere navies during the preparation of the U.S. 2007 maritime strategy (published in English as Naval War College Newport Paper 31) and commentaries written after its appearance and published in the Naval War College Review.